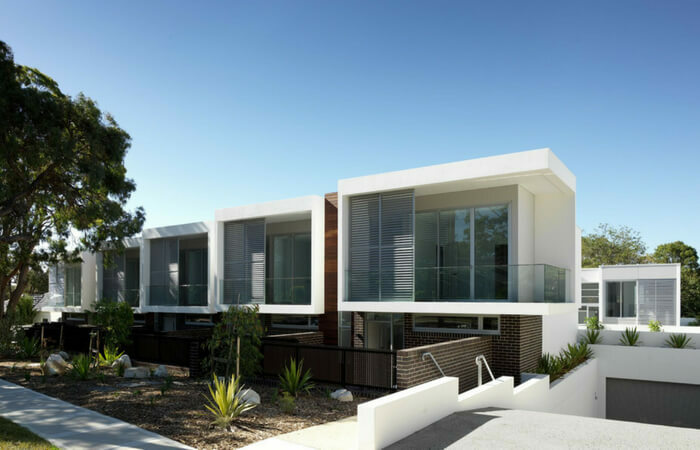 Gledhill Constructions upholds a solid eputation for high quality and great design in everything they do. 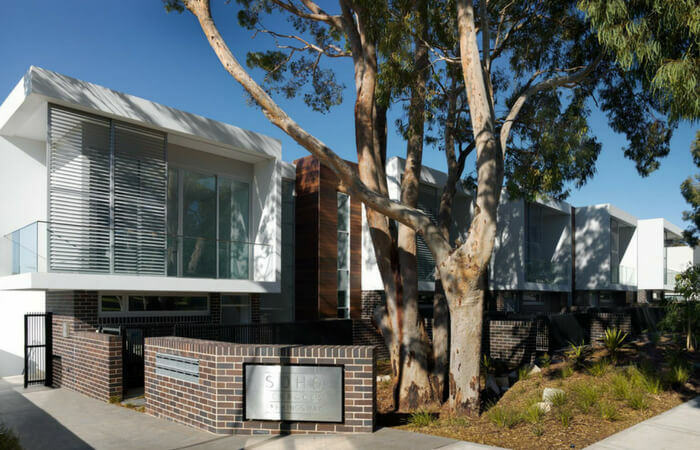 Their latest residential townhouse development, Soho Terraces in Woolooware, fuses contemporary design with relaxed, low maintenance lifestyles. 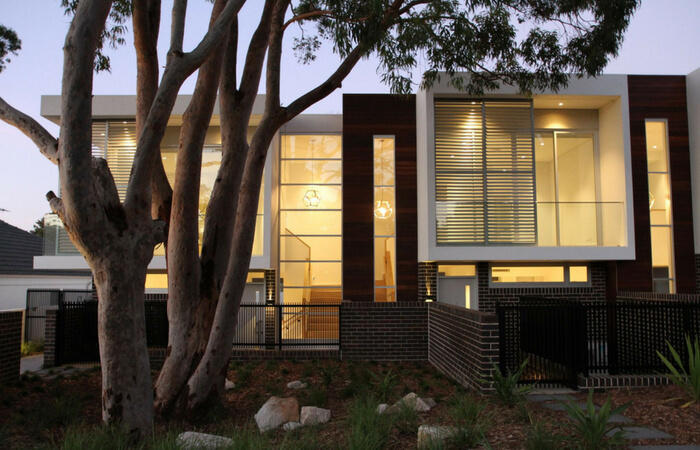 Offering high end architectural aesthetics, SlimWall modular fencing was the perfect choice for their dividing fences. SlimWall's aesthetic ensured consistency with the development’s contemporary design. 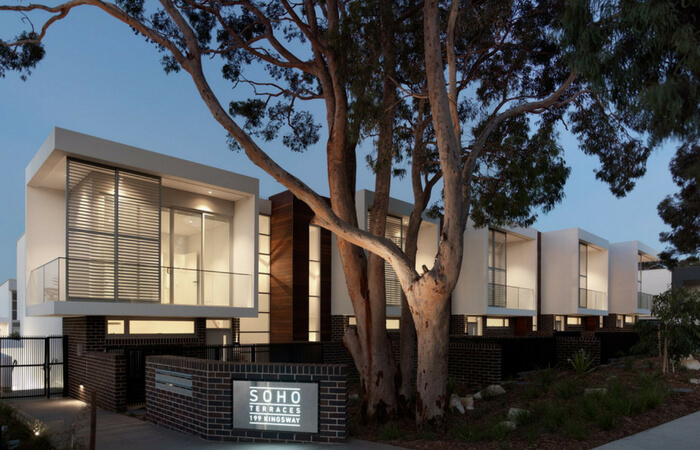 Reaching heights of 2.1m, the sleek fences effectively enhanced the outdoor living spaces and effortlessly connected with the interior style of the homes. The AcoustiMax50 panels utilised within the system delivered noise reduction capabilities of approx. 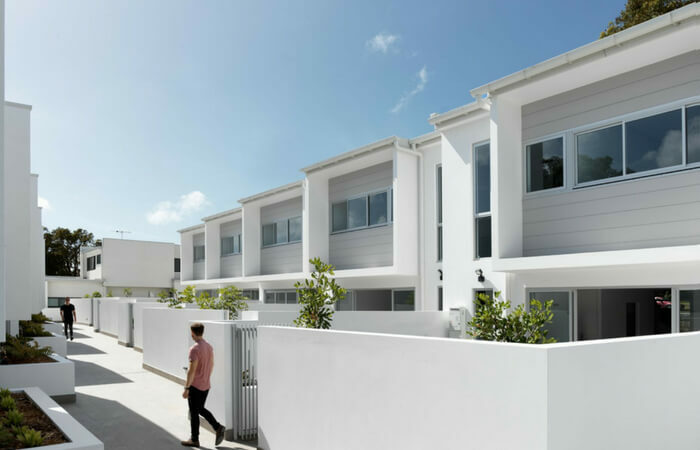 20dB, whilst the smooth finish offered a rendered effest and emulated the stylish architectural values of the townhouses, designed by Couvaras Architects. SlimWall modular fencing blocks urban noise four times more effectively than timber or metal fencing, and for half the cost and a quarter of the install time of rendered brick. 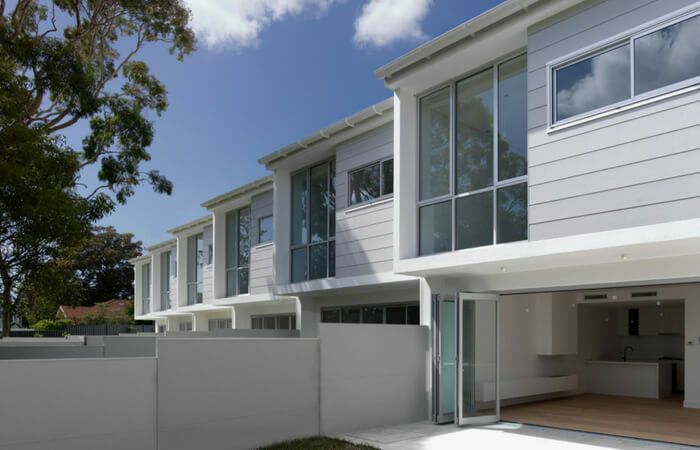 Without the need for wide strip footings, the developer utilised every centimetre of land, whilst still providing a premium dividing fence solution.